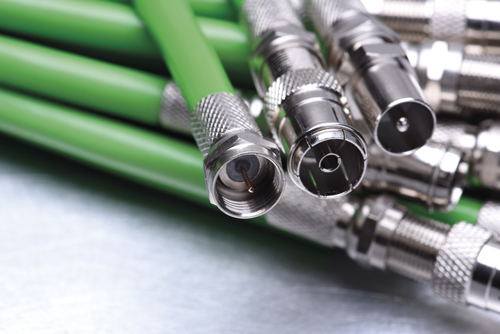 Modern hybrid fibre coaxial (HFC) cable access networks are very different to their original home television delivery-focussed incarnation, observes Alberto Campos, distinguished technologist at CableLabs, in Louisville, Colorado. ‘Broadcast TV demand has been decreasing,’ he told Fibre Systems. ‘Online or on-demand viewing and broadband internet have been increasing and are the biggest residential items.’ Our appetite for data seems insatiable, with internet connection speeds accelerating at approximately 45 per cent annually, he says. The most constrained part of the network is the optical fibre. HFC networks have been typically designed with six to eight fibres stretching 30–60km from the cable operator’s central hub to a fibre node that serves tens or hundreds of homes. Two fibres are used for the primary connection, one downstream and one upstream, and in some cases two additional fibres are used for redundancy purposes. The rest were left for future exploitation, and have now largely been repurposed for uses including business services like cellular backhaul, linking mobile cells to core telecom networks. In some cases that leaves only the two primary fibres for the access network serving homes. Meanwhile, with cable networks needing to improve data provision to customers, they’re adopting new technologies, like CableLabs’ DOCSIS (Data Over Cable Service Interface Specification) 3.1. This requires investment in installing optical fibre closer to users than before in ‘node plus zero amplifiers’ (N+0) architectures. N+0 means there are no amplifiers required between the node and a subscriber household, and the remaining coaxial network section is very short indeed – an architecture sometimes referred to as fibre to the last amplifier. Aiming to deliver an aggregate capacity of 10Gb/s to a residential subscriber serving area, this places a greater burden on access networks’ fibre infrastructure. CableLabs, a non-profit cable industry R&D centre, therefore has a proposal: HFC access networks should adopt the kind of coherent optics currently used by long-haul fibre-optic networks. In doing so, it believes that their capacity might be expanded one thousand times. CableLabs has already demonstrated a 50-fold capacity expansion by using coherent rather than analogue optics over 80km of fibre, and promises that this is just the beginning. ‘This really extends the life of the HFC investment,’ Campos emphasized. The analogue-to-coherent transition is partly being driven by the move towards fibre-deep distributed architectures based on DOCSIS 3.1. ‘Our networks, when they were designed, typically had 500-homes-passed serving areas,’ Campos explained. ‘If we divide that into smaller N+0 segments you’re going to have 12–18 deeper mini-nodes. In that serving area you have more businesses that require fibre connectivity, base stations, small cells and wireless endpoints. 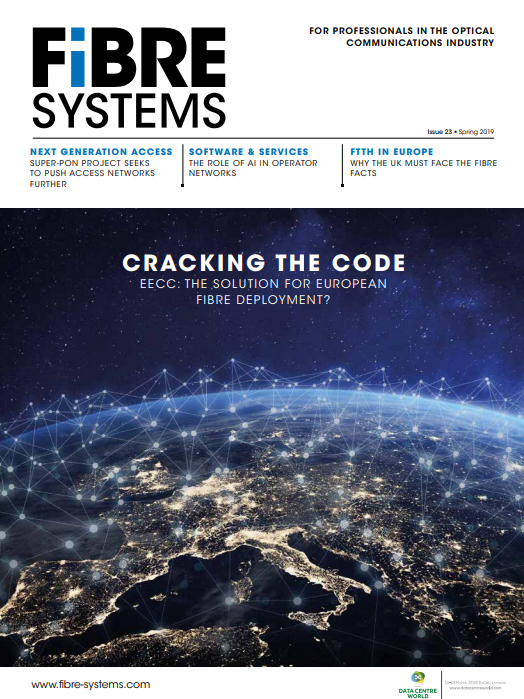 The number of optical endpoints explodes and you need a way of providing a service to them.’ Campos believes HFC networks’ already-available fibre-deep infrastructure gives them an advantage in the competition to support 5G and its accompanying small cells. Concurrently, cable networks are evolving to a Converged Cable Access Platform (CCAP), which combines data modulation functions with traditional cable modem termination systems that communicate with users’ modems. In CCAP, optical links connects operators’ central hubs with the remote MAC-PHY or remote PHY devices at the nodes in residential neighbourhoods, which apply the analogue modulation to transport voice, video and data over coaxial links to homes. Historically the DOCSIS protocol carried TV and data through fibre lines using analogue optics. The approach encoded radio-frequency (RF) signals at rates up to 1GHz by modulating an optical carrier wave’s amplitude. To reduce interference, analogue TV channels were spaced at precise intervals: 6MHz in the USA and 8MHz in Europe. Thus, the unit by which cable operators tend to define everything has become a channel, even though today, one 8MHz channel might instead be carrying digital data. Multiple channels can be accommodated by frequency multiplexing the RF carriers. As data rates have increased, DOCSIS technology has evolved to use higher-order modulation, which presents challenges for analogue transmissions. The RF signals now use quadrature amplitude modulation (QAM), to pack more data into each channel. In QAM, two ‘quadrature component’ carrier waves of the same frequency are out of phase with each other by 90°. This approach creates a constellation of symbols based on small differences in the amplitude and phase of the component carrier waves. Typically, the more symbols there are in a constellation, the more bits can be carried per symbol. Currently DOCSIS 3.1 is designed to support up to 4096-QAM upstream with 12 bits per symbol and 16384-QAM downstream with 14 bits per symbol. As the modulation order increases, individual points in the constellation become closer together in amplitude and phase, and thus noise can have a greater impact. Higher laser powers are needed to ensure the signal-to-noise ratio is sufficient to support the signal over the required distance. This restricts the number of optical carriers that can be accommodated in the fibre before they begin to interfere. ‘That limits how you can best use your fibre infrastructure,’ Campos said. Consequently, distributed architectures in cable are already migrating to digital optics, Campos says. Digital non-coherent optics do not transmit RF signals directly over the fibre; instead the RF component that reaches users via coaxial cable is generated at the node. Consequently, such digital systems can operate at lower power than analogue optics. Non-coherent digital optical links can typically transport 100Gb/s of capacity using ten optical carrier wavelengths carrying 10Gb/s each. Coherent optics would make even better use of fibre’s spectrum, significantly enhancing capacity, and have much lower power requirements. Coherent optics transmit information using two orthogonal polarisation components, as well as by modulating the optical carrier’s amplitude and phase – an optical version of QAM. The electronic signal processing that takes place in the coherent receiver also removes interference with adjacent optical carriers. Coherent long-haul links also have cascading sets of optical amplifiers, Campos adds, which introduce noise and non-linear distortion, but access links won’t. Consequently, coherent technology in access environments needs far less digital signal processing (DSP) and other measures to compensate for dispersion, noise and distortion problems. It could, therefore, use smaller DSP chips, and other system components would also benefit. ‘You can use lower cost lasers, drivers and modulators and a simplified receiver circuit,’ Campos said. Chamberlain stresses that coherent optical techniques are limited by cost, rather than technology. ‘While we have not seen a business case showing the cost of transceivers being viable today, we expect they will become so in the future. When cost competitive, the technology would be a great boost to the embedded base of fibre,’ he said. In the lab, CableLabs has achieved 256Gb/s over 80km on a single wavelength with minimal dispersion compensation, and multiplexed eight wavelengths to deliver 2048G/s. This was achieved using a symbol rate of 32Gbaud using 16QAM modulation with four bits per symbol over two polarisations. This is 50 times greater than can be achieved with four analogue optical carriers each with 10Gb/s of DOCSIS 3.1 payload. Campos envisions that the necessary functions can readily be integrated into industry-standard small-form-factor optical transceivers. CableLabs’ proposals are ‘technically interesting’, according to Charles Barker, vice president advanced research, access technologies at cable equipment manufacturer ARRIS, based in Suwanee, Georgia. Barker notes that various new cable technologies are set to increase bandwidth requirements for optical transport to nodes in access networks, including Extended Spectrum DOCSIS, full-duplex DOCSIS and remote PHY. Coherent optical transport ‘may be an option in the future’ to support such technologies he adds, although he agrees with Chamberlain other options ‘may be more cost-effective in the near term’. ‘In addition to its own internal research and development programmes, ARRIS monitors a broad array of technological advances to develop the most effective products to meet its customers’ needs,’ Barker said. ‘Coherent optical transport technology may be incorporated into future products.’ To do this, it will face similar challenges to every other technology being deployed into the access plant. That involves ‘hardening it against the wide operating temperature range in which such equipment must function while managing its power consumption and heat dissipation,’ Barker said. CableLabs is now looking for opportunities for field trials with its cable operator member firms. It has also formed an operators’ technical group that will oversee specification efforts due to start before the end of June for a point-to-point coherent link. ‘We have been engaging operators, and also a good number of equipment vendors, and they have expressed interest in participating,’ Campos said. Andy Extance is a freelance science writer based in Exeter, UK.